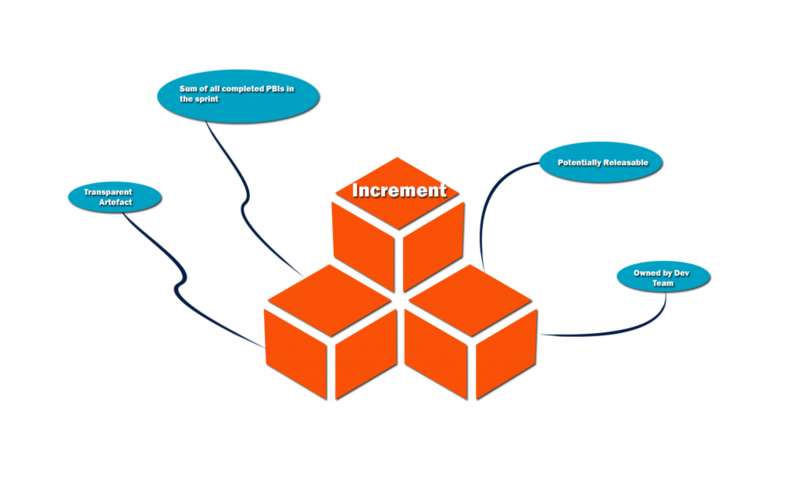 In continuation of “Understanding Scrum” series, in this part let’s explore what an “Increment” is. It is the third essential artifact required by Scrum. The Development team creates a forecast (Sprint Backlog) about what work they would accomplish during the sprint that would meet the sprint goal. This forecast turned into working software/system, which is “done” and potentially releasable to the end user is known as the Increment for the sprint. It adds-on to the value of existing product. Transparent Artifact: Like the other two artifacts, Increment also is a transparent artifact and helps in raising the transparency within the Scrum team as well as the key stakeholders. The stakeholders can inspect the Increment along with the Scrum team and identify if they are progressing towards creating the desired product. By looking at it the Scrum team and stakeholders can collaborate on what to do next that would be valuable for the business. “Done”, Potentially Releasable: The increment is a “done” and potentially releasable. It needs to be in an useable state. This means that there is no more work pending on the increment that would stop it from going live if the Product Owner decides to release it to production environment. It conforms to the “Definition of Done” defined by the development team. Owned by the Development Team: The Development team owns the increment just like the sprint backlog. The Development team is responsible for creating the potentially releasable “done” product increment with quality at the end of every sprint. To conclude, it is a “done”, useable, potentially releasable transparent artifact which is the sum of all PBIs selected for the sprint and the value of all the previous sprints. Agile, Artifacts, Increment, Scrum, Transparency. Bookmark.